2) No, that wasn’t a mistake. There is literally nothing to report. 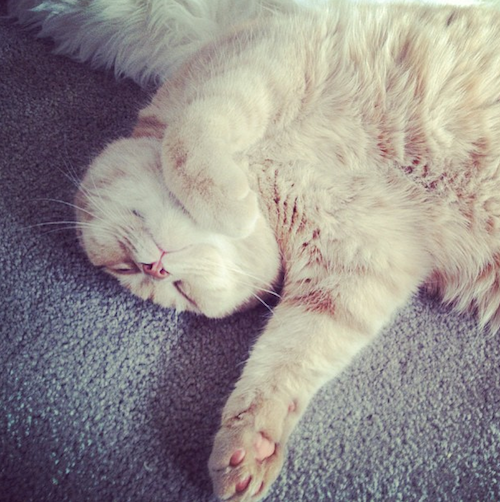 See picture of the cat – it pretty much sums up the amount of activity my dissertation notes have seen. I have done nothing. What I have done, however, is managed to buy a few more things on ASOS. I think I have something of an illness, unfortunately, because I don’t even remember actually pressing the button to buy the following item – I just got an email saying that it was on its way to my house. Cute though, I hope. It hasn’t arrived yet so I’ll let you know. It was rather pricey, but I’m starting to run out of things to wear in my DailyMix videos – they need to start giving me a wardrobe budget! This dress is by Edun and costs £158 here. I think I may have justified it to myself because it was reduced from £406! 3) Another purchase (theme: words of dissertation written is inversely proportional to number of pounds spent shopping online. eg: less words written, more pounds spent) but this is a beauty, I tell you! I might even snap up the one in grey! 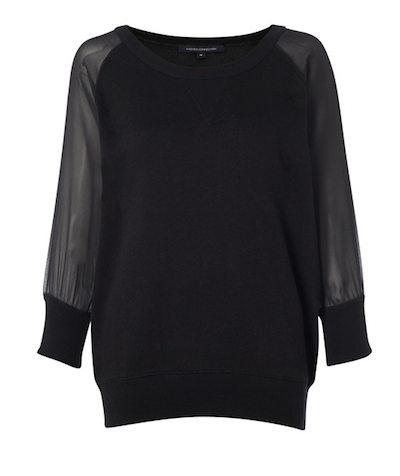 It’s a sweatshirt with fancy see-through arms and it looks really good on. It’s called the Ditton light sweatshirt and it’s £47. They do loads of different colours, you can see those here. Worth a look, actually, because the pic above doesn’t do it justice! 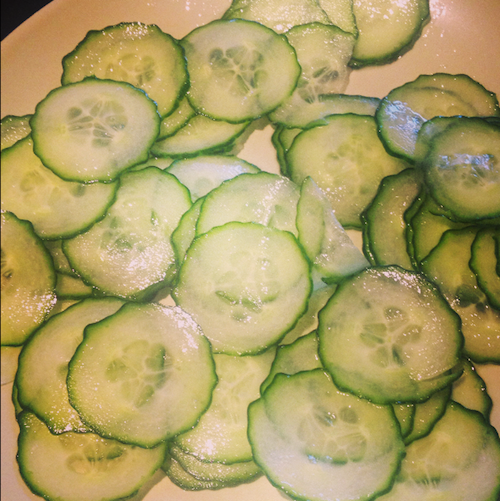 4) One of the best accompaniments to a curry: the cucumber salad. There’s no real recipe for this, but it’s good if you have one of those kitchen mandolins that slice things really finely – it’s all in the slicing! These cucumber pieces are wafer-thin, and then they have been drenched in lemon juice (or use lime) and sprinkled with loads of salt. You can also add chopped coriander leaves, fine slithers of red chilli for a bit of colour and some very thin rounds of onion, if you like. But if you want to keep it simple, then: cucumber, citrus, salt. Healthy and delicious and really cooling if you’ve overdone the spice a bit with your main dish! If you want an easy curry recipe then take a look at this one.